If you enjoy visiting our website and learning about the band why not share it with your friend? Just fill out this form and we will send them your personalized invitation. 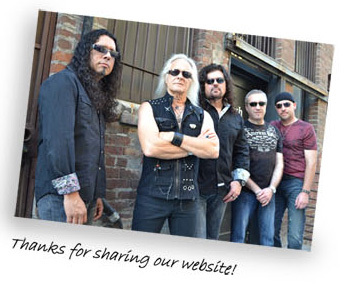 I thought you might like to check out this cool website I found called featuring Bloodgood. It tells you everything about the band, has free music and more. Take a look and let me know what you think. See you there! Bloodgood takes your privacy seriously and we will not rent or sell your contact information without your expressed written consent.